Climate change influences marine ecosystems in different ways. For example, fishery management plans fail because of unanticipated changes. Intense exploitation of fisheries may lead to bottom-up control of the food chain and greater sensitivity to climate change. 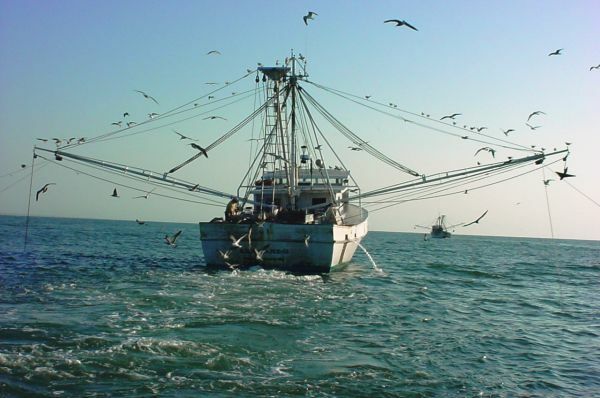 Because climate change occurs so slowly, it is difficult for scientists to see the ecosystem impacts right away, but gradually, the effects become evident in the interactions between fishing and environmental variability. In this paper Durant et al. (2013) aim to explore the effects of fishing and climate change on the structure of populations of sub-Arctic ecosystems, especially when it comes to temperature fluctuations and fishing-induced changes in spatial and demographic population structure. They are particularly interested in shifts in spatial and demographic population structure that affect the recruitment and population growth rate. The results show some patterns as well as differences in the relative importance of fishing and climate on the populations and ecosystems examined. Durant and his colleagues at the University of Oslo in Norway compiled five scientific papers in an attempt to understand how climate impacts fisheries in the arctic. To explore the topic of ecosystem impacts of temperature change, their department, the Centre for Ecology and Evolutionary Synthesis (CEES), hosted two international workshops. The workshops brought in scientists from Canada, France, Norway, Russia and the United States to discuss topics of theoretical ecology, animal behavior, fish ecology, fisheries oceanography, and ecosystems modeling. Fish stocks were all from the Arctic Ocean and North Sea. Different tests were done, with varying conditions. The authors say that it is not possible to assume that fish populations display a linear response to climate change and overfishing. Spawning stock biomass, recruitment, selective fishing, and temperature were also taken into consideration when analyzing fish stocks since these variables can change over time. The first paper looks at temporal shifts and temperature effects on recruitment dynamics. Although density-dependent factors have strong effects on juvenile fish populations, density independent factors were assumed to be of primary importance in regulating pre-juvenile survival. The authors related variation in sea temperature, spawning stock biomass, and mean age in the spawning stock to temporal patterns in recruitment dynamics of 38 commercially harvested North Atlantic fish stocks. They learned that is was important to be aware of over-interpretations of linear environmental-recruitment associations because underlying relations may be non-linear and variable over time. The data suggested that as temperature increased, there was an increase in pre-recruit mortality over time in at least 14 stocks. The second paper looks at population spatial structure. All animal populations use their physical environment as a gauge for special structure. Changes in this spatial structure can affect the resilience of a population to human and environmental impacts. Changes in species abundance usually leads to large-scale changes in spatial distribution patterns. This can eventually lead to a set of new environmental constraints and interspecific interactions with consequences on a community level. The authors explain that the importance of understanding spatial ecology of populations of fish help us to study mechanisms that can lead to rapid changes in population abundance, tell us the health of the fisheries, and characterize the effects of changing these spatial patterns on the populations susceptibility to human exploitation and environmental variability. They found that populations can be spatially structured, regardless of genetic or demographic connections and that changing these special structures has a negative effect at the population and community levels. The third paper looks at methods of predicting fish recruitment. The authors looked to see if spawning stock biomass (SSB) was a useful predictor if recruitment strength and found that there was enormous variability in the recruitment strength, indicating that other variables likely play a role in determining the production of recruits. Aside from SSB, the authors looked at the usefulness of juvenile relative to larval abundance of fish in predicting recruitment. This test showed that an abundance of later life staged fishes doesn’t do a better job in predicting the number of recruits than abundance of earlier life staged fishes. The authors offer a reason for this, saying that these results could have been due to poor quality of the time series collected for older life stages. However, including environmental indicators improved the accuracy of recruitment predictions. The fourth paper looked at the interactions between predator and prey. What is interesting in marine environments is that often times, the prey species is a predator for the larval stage of its consumer. For example, in the North Sea, adult cods feed on herrings, but herrings also feed on the larvae of cods. As the temperature increased, so did the number of herrings, which caused the population of cods to decrease as well since the larvae were consumed by the large amounts of herrings. Human effects can also exacerbate the decrease in population of the top consumer, so it is important to make sure that fisheries take predator-prey interactions into account in order to avoid shifting the ecosystem balance. The final paper discusses the population growth rate and certain variables affecting it. Younger populations are common worldwide due to the selection of older fish by fishers since these fish tend to be larger. The juvenation of these populations increases their ability to respond directly to environmental fluctuations. This tells us that interactions between fisheries, environment, and recruitment and population growth have an important and synergistic effect on population dynamics. Durant et al., through their results, showed that shorter generation time causes an increase in recruitment growth, while increasing fishing mortality had a weaker effect. The resilience of the population growth to recruitment change can be attributed to a long-term change in age structure of the population, possibly due to fishing. Overall, this paper aims to underscore the importance of the connectivity between ecosystem balance and stock of the fish populations. In order to improve recruitment estimations, management strategies must take into account the various types of environmental information describe above. Also, understanding population dynamics of the harvested species most likely has to do with the age-structure of the population, and finally, fish population dynamics can be predicted better by understanding the spatial ecology of the ecosystem. Durant, J., M., Ottersen, G., Stenseth, N., C., 2013, Impact of Climate and Fisheries on Sub-Arctic Stocks, Marine Ecology Progress Series 480, 199–203. This entry was posted in Marine Fisheries, Neha Vaingankar and tagged climate, Geir Ottersen, Joël M. Durant, Nils C. Stenseth, Non-stationarity, Population growth, Recruitment, Spatial distribution, Sub-Arctic by Emil Morhardt. Bookmark the permalink. I am sure these are good papers but but I was surprised that this article makes no mention of ocean acidification and its relation to the recent decline of plankton which are at the base of the marine food chain.